Did you know that Gili Islands are actually classed as a Marine Protected Area (MPA)? Not many people are aware that the Gili Islands are actually classed as a Marine Protected Area (MPA) called the Gili Matra Marine Park. Part of this is due to the fact that this map is hard to come by at the moment. So here you go, feel free to save and share this image and help us to create more awareness. They go by many names such as marine parks, aquatic parks, marine reserves. Basically anything that sounds like it offers some protection from fishing and other extractive industries like mining or oil drilling. 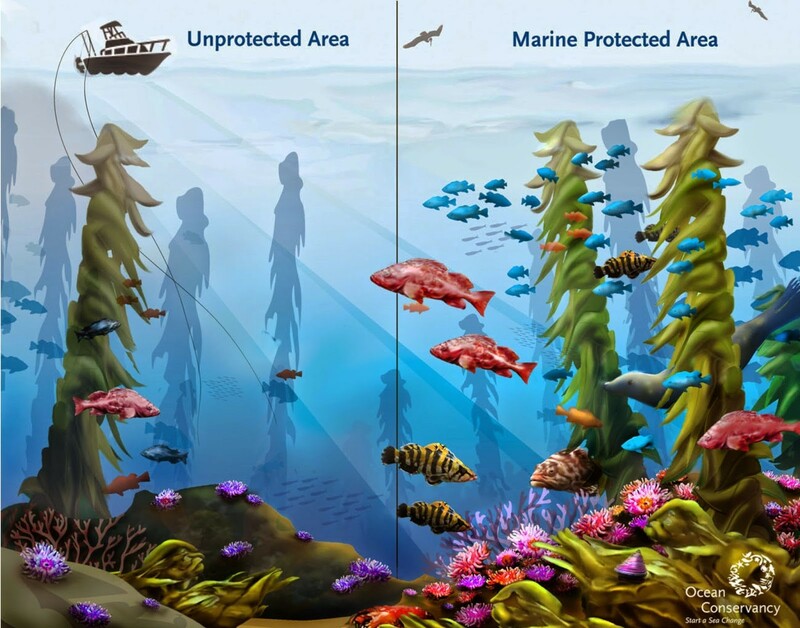 Currently roughly 3% of the world’s oceans are protected in some way. HOW OLD IS THE GILI MATRA MARINE PARK AND HOW BIG IS IT? The Gili Matra Marine Park covers roughly 30 km2 as it actually covers the land too. It was created in early 1993. In this time the popularity of the Islands has skyrocketed and a whole diving industry has emerged. It was set up by the State Ministry of Demography and Environment which as seen many changes since and has merged with many other departments making the Ministry of Environment and Forestry. 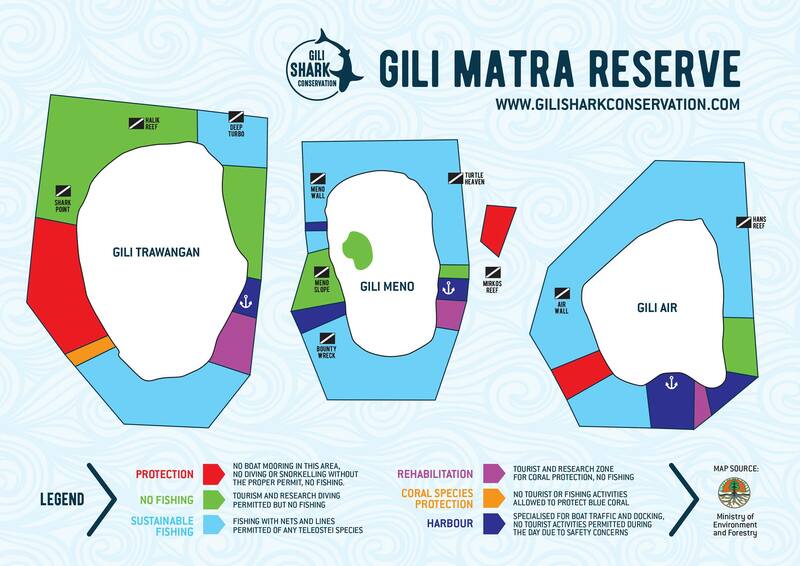 WHAT DOES THE GILI SHARK CONSERVATION PROJECT DO TO PROTECT THE MPA?